My 6th attempt never got of the ground…due to mother nature’s roar. I had to postpone the attempt for a later time. 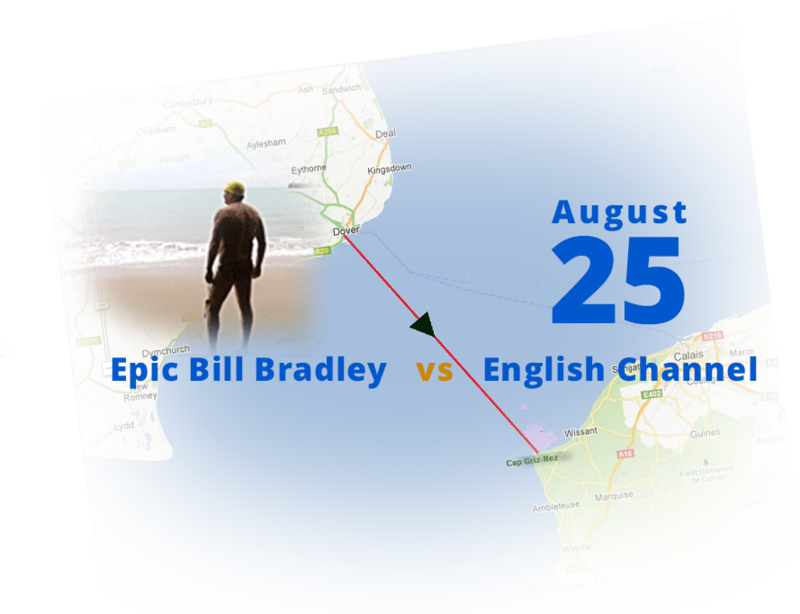 My 5th attempt at the English Channel was my closest yet to completing the channel crossing. I was only 4 miles from the shore when a storm developed of the coast of France forcing me to quit. Our team’s goal would be for me to cross the Grand Canyon Rim 7 times continuously and set a new world record. 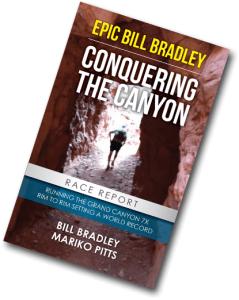 Arguably one of the most inspiring versatile extreme endurance athletes in our time, Bill Bradley undertakes the most challenging endurance sporting events in the world. He craves improbable challenges set against nature’s unforgiving scenarios. The average age of an extreme endurance athlete is 35 years old. Bradley, now 58, stands alone yet he continues to take on grueling events around the world and continues to amaze his fans with many completions. We are actively looking for Sponsorship for our many up coming event schedule in 2019. In our last event “MT Denali 2018”, we garnered over 1.2 million views on (2) of the (6) videos documenting the climb, with a watch time of over 3 minutes per/view on our YouTube channel. I met Bill today in Salisbury, England at a train station waiting to go home on leave from the army. We ended up speaking to the very point we had to go our separate ways. He is a great guy and unique. The stories he told me had me in awe and left me amazed. Bill you are a fantastic character and it was a pleasure to have met you. Hopefully our paths cross again some day. That was a lot of fun Bill! You are one tough cookie! Amazing! I had no idea!! Even though I have heard about these epic events (ordeals) before, I was totally into your talk. So was everyone else!!! Super impressive!! The talk elevated the already epicness even more...!!! !